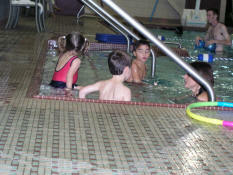 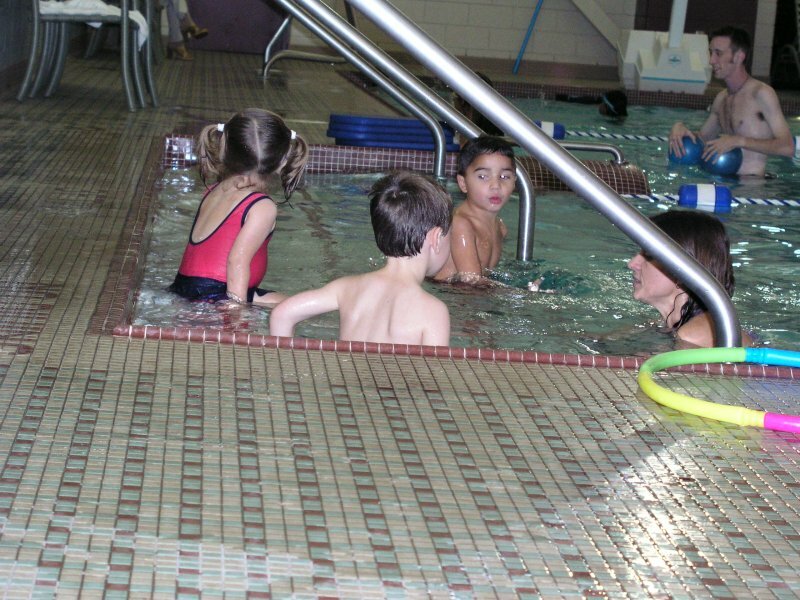 Tyler with some of the kids from his swim class. 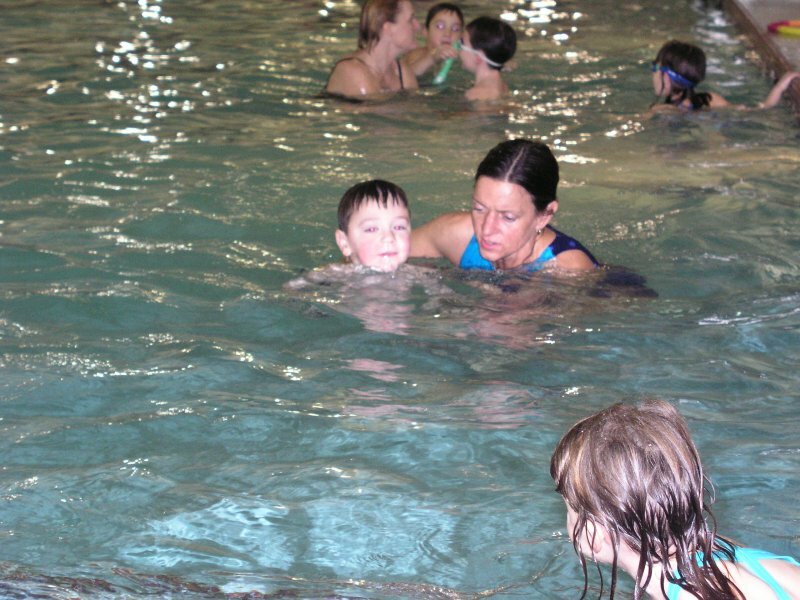 Tyler with his swim instructor. 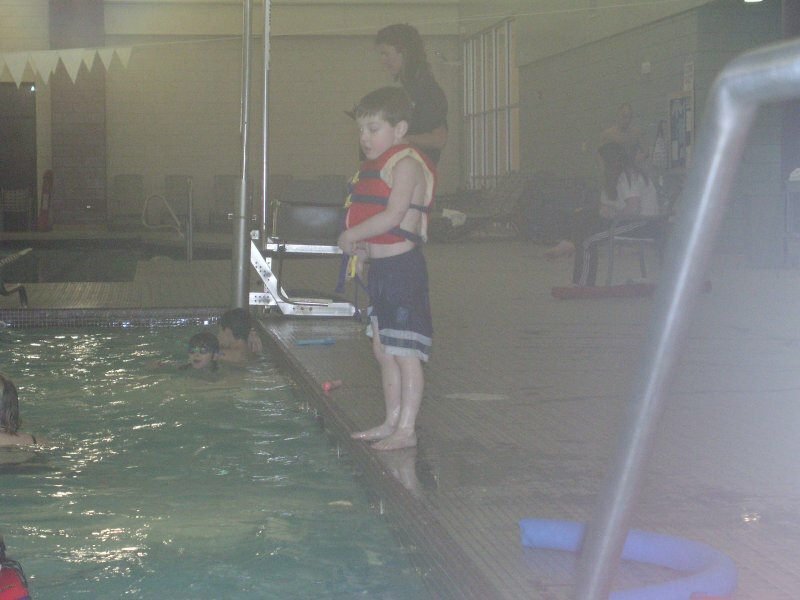 Tyler preparing to jump in with his life vest on. 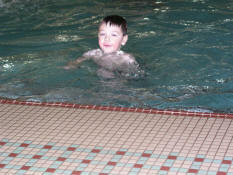 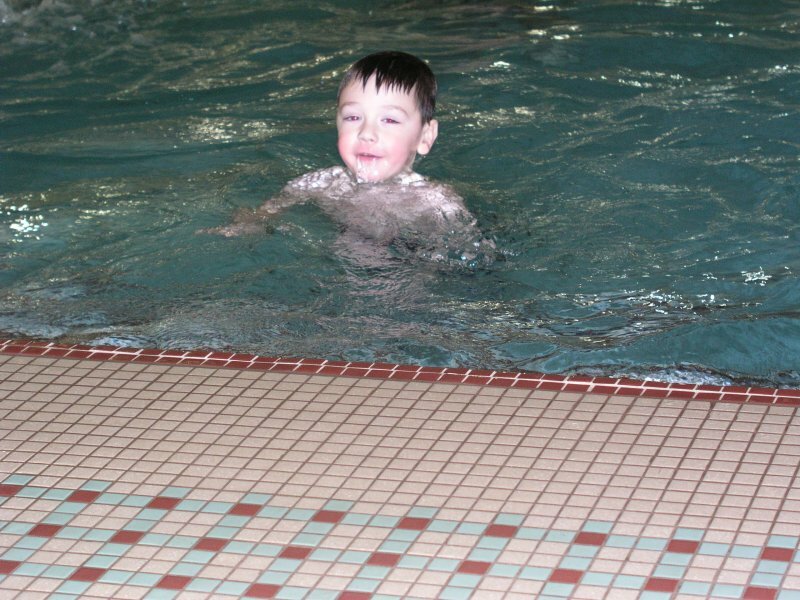 Tyler in the pool without his life vest on. 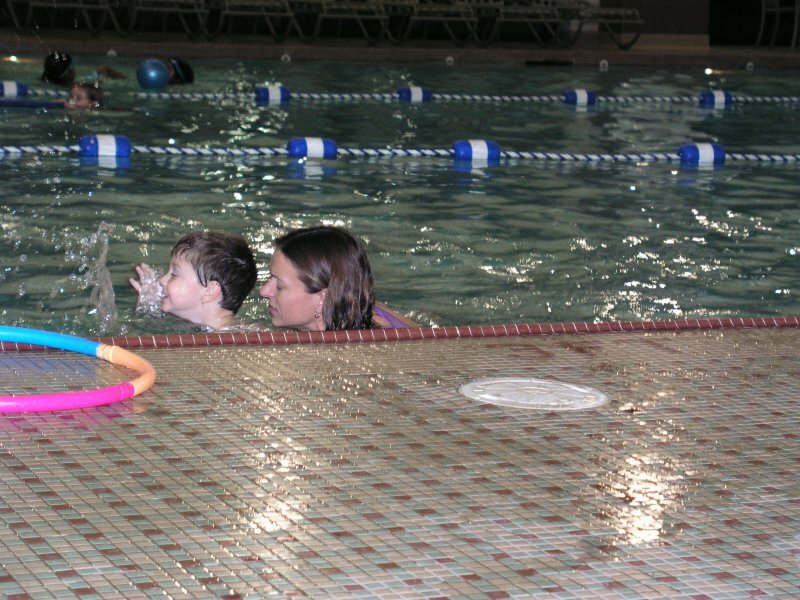 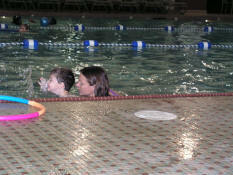 Tyler getting some help from his swim instructor.